WINTER SALE - Usually 24.95, today just 14.95 - Save £10! 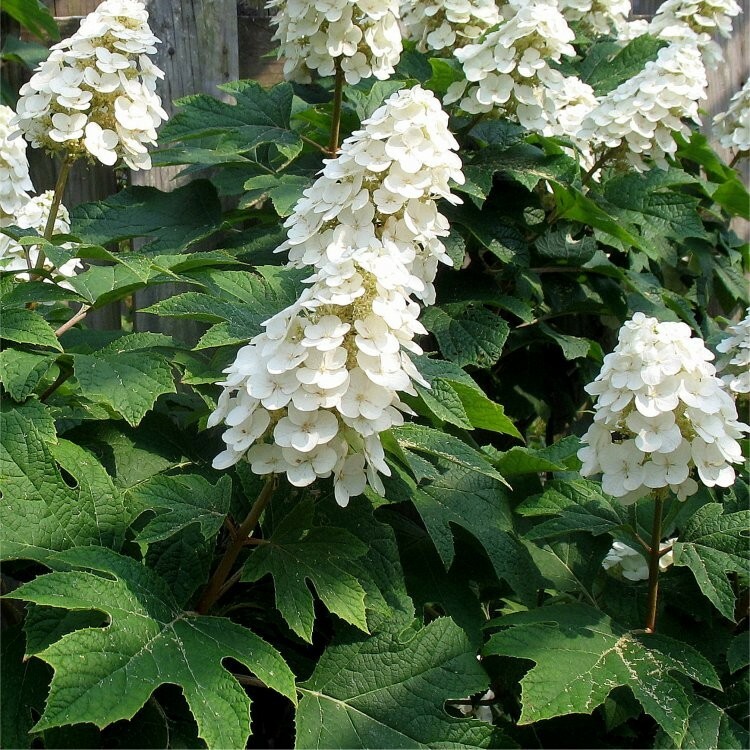 Hydrangea quercifolia 'Ice Crystal' is a fantastic form of Oak Leaf Hydrangea, forming a lovely compact shrub with stunning pure white flowers forming in long cone-like clusters from early summer right through to autumn. 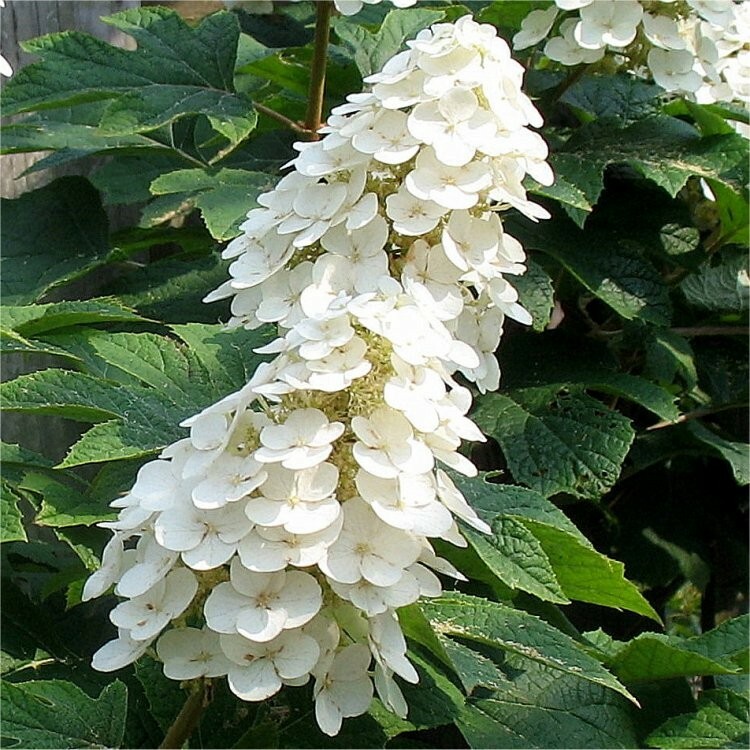 The distinctive foliage is what gives the Oakleaf Hydrangea its name due to its distinctive leaf shape, Ice Crystal has particularly attractive sharply cut foliage that is attractive even when the shrubs are not in bloom. 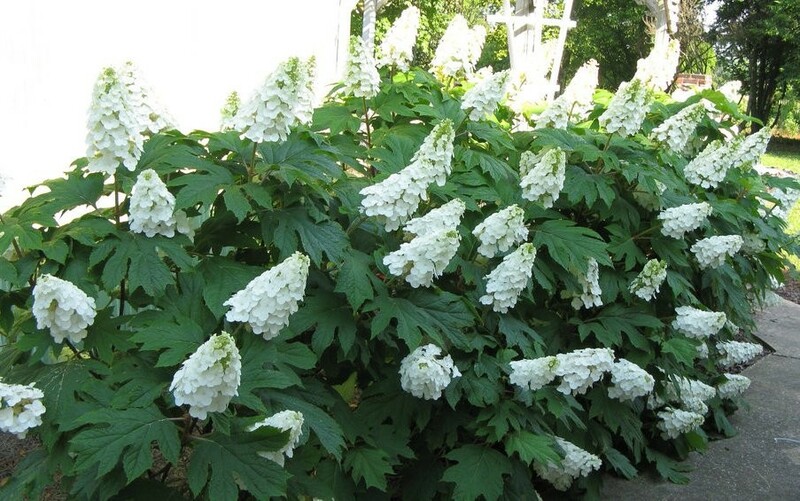 The leaves will turn through rich shades of burgundy-purple-reds in the autumn adding a further dimension of interest to this great asset to any garden.